Somerset House is celebrating Earth Day with a range of talks and art installations that reveal our impact on the environment. On April 22nd, Somerset House is celebrating Earth Day – the world’s largest environmental event – by hosting three extraordinary experiences created by leading artists. The installations have been designed to shine a light on air quality, how we are polluting our air, and the impact this pollution has on our day to day lives. 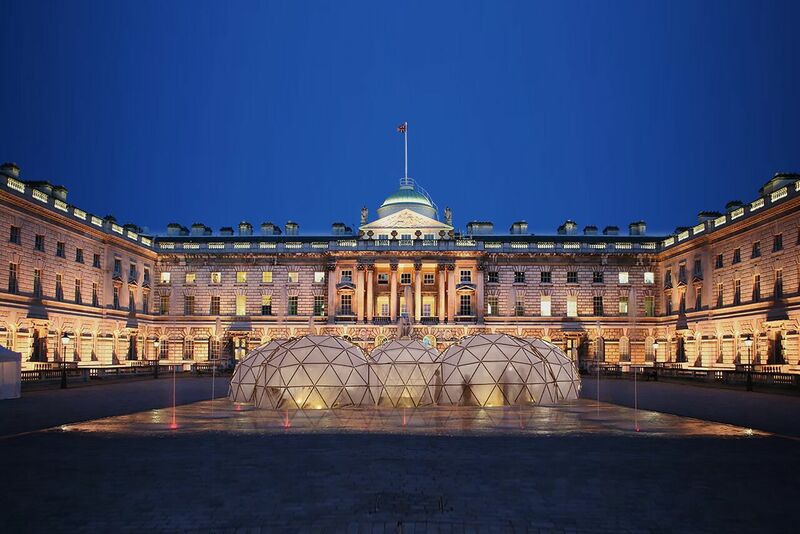 The first installation sits within the courtyard of Somerset House; Michael Pinsky’s series of geodesic domes, called Pollution Pods. The five domes recreated the air quality of locations across three continents; visitors can pass through each dome and experience air quality in various cities to sense the difference. London’s air quality, along with, Beijing’s, São Paulo’s and New Delhi’s, will each be represented - with the Norwegian island of Tautra offering truly clean air as a starting point for comparison. Michael Pinsky, a well-known British artist, has an important point to make; it’s estimated that the average Londoner is exposed to such high levels of pollution that they could lose 16 months of their life. Meanwhile, residents of New Delhi risk losing 4 years from their average lifespan due to the harmful particles in the air. He will also be discussing his work on Earth Day at 1:30pm. Launched on Earth Day, the second installation is a flag that will be raised by Somerset House – which cleverly reflects the impact of the pollution around it. Created by T H E U N S E E N and called Choropleth, the specially designed flag is made from material that reacts to UV radiation. 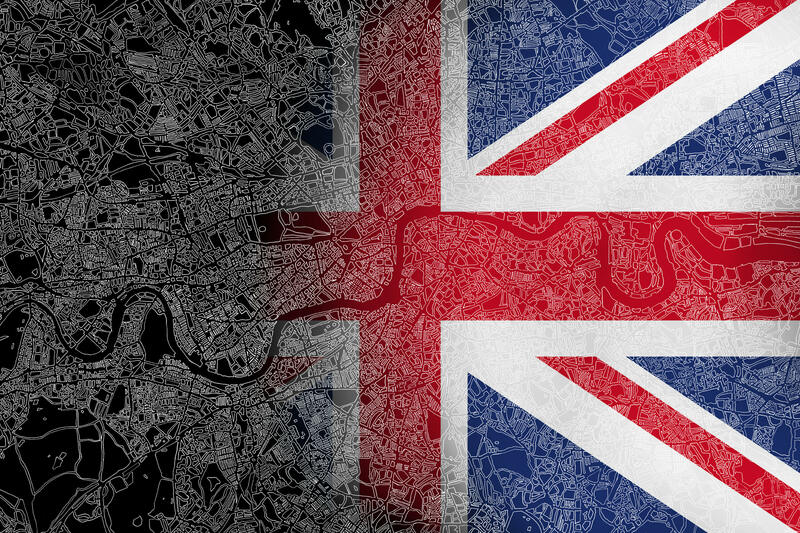 Taking the form of the Union Jack, the flag’s iconic red, white and blue will fluctuate according to the radiation exposure levels in central London on any given day. When radiation levels are low, the true colours of the flag can be seen; but as UV pollution levels rise, the flag transitions to monochrome. As an added element, a map of London’s roads has been superimposed onto the flat, reflecting the main cause of pollution in the city. The final main event on at Somerset House is the Edible Utopia – an educational food-growing project that will take root in overlooked areas around the building over the next three years. On Earth Day, the Edible Utopia team will lead a free workshop on how to keep houseplants healthy and ensure green spaces thrive. Visitors will also be invited to explore the coalholes beneath Somerset House which are now being used to grow edible mushrooms. These mushrooms, and any other food grown around the building, will be served to guests to the restaurants and cafes at Somerset House, creating a closed loop eco cycle and lowering the House’s carbon footprint. As well as these three installations, on Sunday 22nd April Somerset House will host series of talks and workshops that aim to inspire creative ways to tackle pollution. These include an air purifying workshop; a discussion on wearable technology that tracks the destruction of coral reefs in the world’s oceans; and the short film Antarctica: The First Dance which will have its world premiere screening at Somerset House on Earth Day. As part of Somerset House’s effort to “clean up its own act”, the Arts centre is limiting its use of plastics and has installed water fountains (instead of selling plastic water bottles). One of its on-site restaurants, Spring, is committed to becoming plastic-free of 2019, and will continue its successful Scratch Menu which uses waste ingredients from the kitchen. The Pollution Pods will be open from the 18th – 24th April, with a talk from Michael Pinsky at 1.30pm on Sunday 22nd April. The Choropleth flag will be raised at midday on Sunday 22nd April, with talk from creator Lauren Bowker at 1:00pm the same day. The Edible Utopia tour and workshop is on Sunday 22nd April between 12:00 – 3:00pm. Entry to all exhibitions, talks, workshops and tours are free.